Get him ready for the playground with these boys black velcro strap trainers. 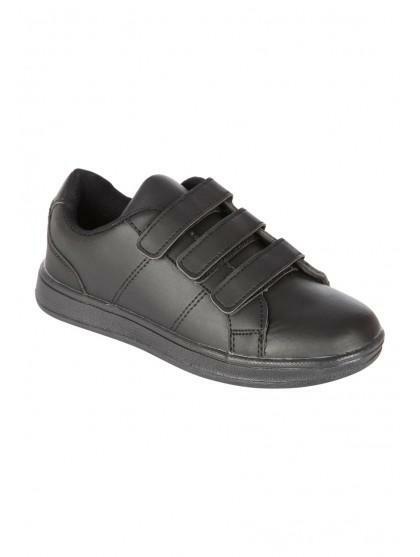 With an easy Velcro fastening and monochrome design, these trainers will finish off his playground attire perfectly. they are so wide almost twice the width of my sons feet.